The Canberra Vikings have confirmed their status as 2017 NRC favourites on the back of a scary impressive win over the Sydney Rays in Canberra this afternoon. The 71-14 win also put the Vikings back on top of the ladder having momentarily lost it on the back of Queensland Country’s big win over the Greater Sydney Rams yesterday. As if they needed it the Vikings were boosted by the return of Wallabies Joe Powell, Henry Speight and Sam Carter while the Rays were forced to make late changes to their side due to injury. While the Rays were able to hold out the Vikings for the first ten minutes of the game but you always felt that the drought would be broken sooner rather than later. And sooner it was as Andrew Muirhead benefited from some smart James Dargaville work to barge his way over for the first try of the match. The Vikings set piece was working superbly with the scrum completely dominant against the mostly amateur Rays pack. Newly selected Wallaby squad member Folau Faingaa was a beneficiary, twice-over, within the next eight minutes as he twice crossed from Canberra lineouts. The first was a traditional driving maul while the other was from a nicely worked play at the front of the lineout with Rory Arnold. With only a quarter of the game gone and the Vikings were up 19-0 and doing it easy. The Vikings scored two more tries in the first half, one to rookie centre Len Ikitau, who supported a wonderful Tom Cusack break, and the second to Dargaville. 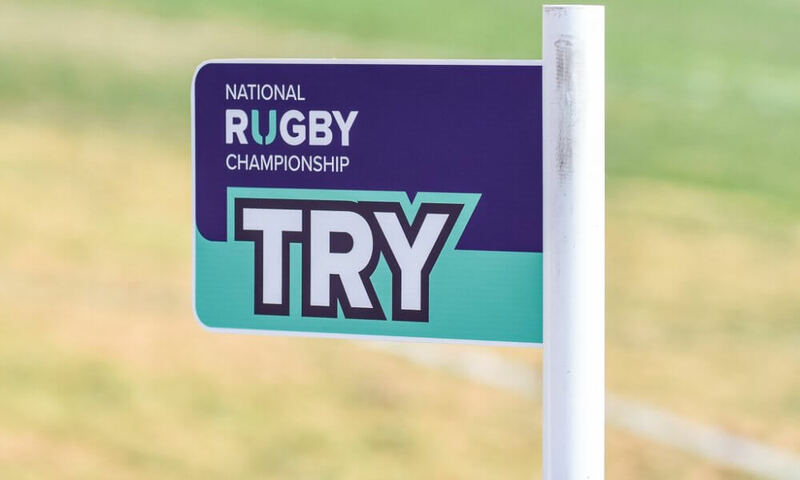 This try was yet another from the lineout, however another variation of as Cusack to the ball from the Sam Carter take to deliver a well-timed pass to his centre running a fine line. It left the score at 31-0 to the home team and the break and the Rays looking for a miracle in the second half. The miracle would not eventuate, in fact the Rays got a red card instead as flanker Gary Bautz was sent by the field for a dangerous tipping tackle on Wharenui Hawera. The Vikings upped the ante and as Powell looked for the space out wide his wide pass went amiss and Rays speedster Kepu Lokotui took it the length of the field to score his side’s first points of the day. Canberra stuck to their guns though and relied on the dominance of their set piece, enhanced by the one-man advantage. Captain Cusack was in soon after and when Powell pounced over for his first try of the match, with 20 minutes to go, it was time to clear the benches with the score at 45-7. Following a powerful Rob Valetini try, the Rays were able to score their second when Irae Simone found space and linked up with Rob Buaserau to cross for their second of the match. A couple of tries to replacement Ryan Lonergan as well as Dargaville’s second right at fulltime put the icing on the cake for what was a relatively easy day out for the competition front runners. Not applicable. This was pretty much one way traffic from the start. Wharenui Hawera enjoyed the front foot ball he was receiving from his pack, as were his outside backs, but it was the work of Sam Carter and Rory Arnold that was responsible for much of that positive possession. Sam Carter claims the award for his clinical restart work (and 80 minute effort). Young Brumby centre Len Ikitau is definitely one to watch and could not have dreamed of a more ideal match to make his run on debut. On the other side of the field James Brown has been a shining light for the Rays and again was impressive despite the big loss. Good write up again Reg, and so quickly after the game. Fast gaining legend standing. I thought the Rays looked quite sharp with the ball in the first half and only some very strong defense held them out. OTH whenever the Vikings had the ball they were a good chance of scoring, which they did on five occasions. The second half was more of an uneven match as the Rays really struggled at scrum time and the Vikings ran away with the game. I thought Tom Cusack and Rob Valetini were standouts for the Vikings, while James Brown was certainly very good for the Rays. Both Rays wingers have a touch of class about them, and Simone had some electric touches. Rob Valetini looks like a Wallaby No 8 in waiting. Will be a good contest with Naisarani next year to see who wins the No 8 jumper for the Brumbies. One thing though, I think Lausi Taliauli was credited with the last conversion. How about T Cusack at 6? His form is pretty solid and tall enough for a 6, could be an interesting combination with Pocock and Naisarani. Yeah, wouldn’t be a bad option either (not a terrible position to be in, having to decide between Cusack, Valetini and McCaffrey, eh?). One thing I will say is that what the Brumbies have lacked since Vaea’s retirement is big forward ball carriers. Naisarani is one, so the question is whether we want another loose forward who is primarily link-man and pilferer or whether we want another ball-carrier who I think will be slightly better in the line-out? Yes exactly my thoughts, have been missing a line bending 8 for a while. Both brumbies and Aus Rugby to be honest. Vaea had great potential but never really got going and obviously very unlucky with his health. Naisarani is a great buy and I am really looking forward to him bringing some ball running to our 8, Valentini and Lolo both good potential but might be a it young still. I like Cusack as maybe a bit more athletic as a lineout option and think he will play as a graet link player for the backs/forwads, with Pocock hard on the ball. Valentini in the last 20 min to go hard and upset a few would be good to see. Oh, is Cusack a better line out option? I would have thought they’d both be pretty good, but perhaps Valetini ahead based on his height. Yeah, I think they’re both good options, it just depends who finds it easier to make the step up to Super Rugby level. Rob doesn’t seem to take part in many lineouts. He is more likely to be in centre field hitting the ball up a couple of passes off the lineout. I think Tom is a pretty good lineout jumper. Different styles of play. Maybe the competition will be between Naisarani and Valetini for the No 8 spot, as they play very much the same style. I wonder if that is because he can’t or whether they value him more as a crash ball runner (in the way that TK is used for the Brumbies and Wallabies). If the latter then the odds are he would be used in the line out for the Brumbies as TK already does that role exceptionally well. I guess it depends if you want a 6 more like Fardy (Cusack) or more in the Finegan mould (Valetini). 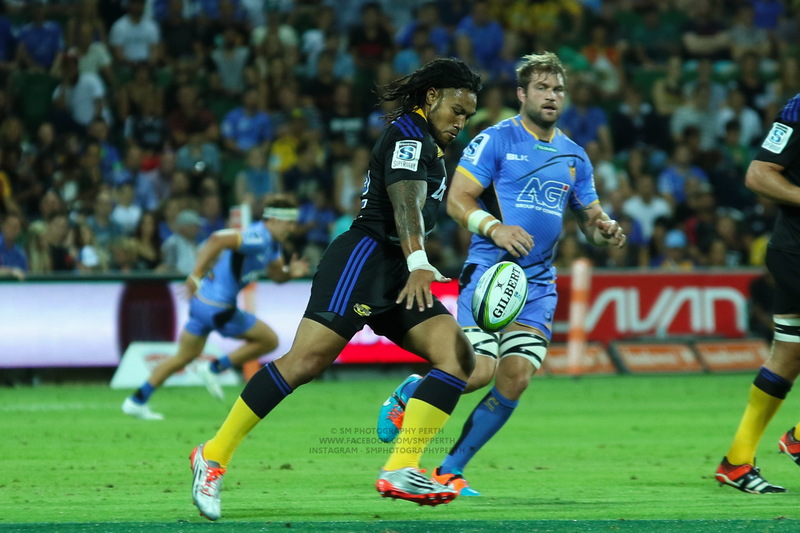 That said, the step up from NRC to Super Rugby is really book (Irae Simone…), we are just assuming both of them will make the jump easily. I guess time will tell, and I trust McKeller to get it right. Cheers for this, Reg, really appreciated. Do you personally feel the Vikings are now favourites for the NRC title, or are you referring to general consensus? yeah I think they deserve to be favorites. QLD Country have to take on Fiji in Fiji this week so that kind of nullifies the impact of the bye somewhat. I think it will be between them and QLD C. Fiji I’m still not sure about. If they get a home final, then they may leap to the front of the favorites list. QLD Country look very good. It’d be cool to see Fiji win though. Congratulations Vikings on a comprehensive win. Another example of how uncompetitive the Sydney based teams are, made up mostly of Shute Shield players, against the one city teams which are close to Super Rugby strength. It’s a mismatch. Although there are obviously club players with the potential to step up, they’re not in the race to match it with the professionals who have the benefit of full-time training and coaching. The whole competition would benefit by having a more competitive structure. 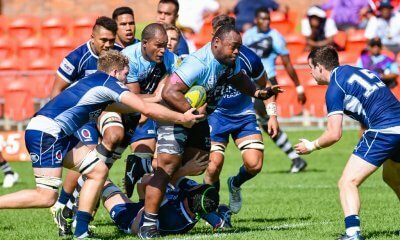 There was an article in the Telegraph this week suggesting that the NSW Rugby Union was considering taking control of the NSW NRC teams next year and reducing them to two. They are looking at the Queensland model of a city and country team. I can’t see the point of a country branding unless it is made up of current country players, which wouldn’t be competitive anyway. Most aspiring country players are already in Sydney. Better to have just Sydney North and Sydney South, by whatever names, with a sprinkling of up and coming club players. Each team could be required to play one home game in country regional centres. Are they already in Sydney due to boarding school, uni and work with a senior club up the road? 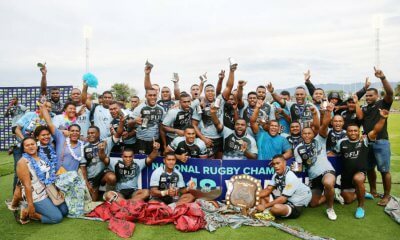 There needs to be underage country sides in the junior Gold Cup and Aus Schoolboys to capture the kids who are still in the bush and get exposure to dev squads and/or scouts. There are lot more kids out there who parents who can’t afford to send them to boarding school. SA have country district sides in their under age provincial comps which are similar to the Junior Gold Cup for these reasons. I was referring to senior level players who are recruited from the country by Shute Shield clubs, especially Sydney University. No doubt there are many players who originally came from the country who attended boarding school and university in Sydney and who progress through the colts system. I agree more needs to be done in exposing more country kids to the Junior Gold Cup and Aus Schoolboys, especially in the public school system. You could say the same for city based kids. There’s a vast reservoir of talent out there which is being neglected. It’s bad enough that Rugby League is knocking off our most talented players from the Aus Schoolboys teams over recent years, including this year. What’s happened to the ARU’s supposed strategy to re-connect with the public school system? Bloody hell. Three way tie between city, Vikings and the drua for comp monsters. Country still have a game in hand! I know – getting exciting coming into the pointy end of the comp. 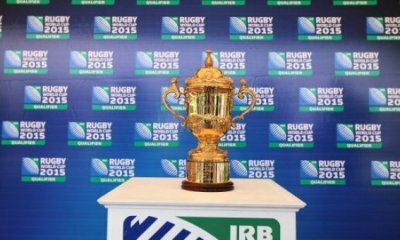 QC v Fiji with the Horan-Little shield to boot should be the game of the round next week! My bad, but city probably in the mix now too.